The course runs May 9 to June 20, 2016, and covers one topic each week. (See course outline below.) 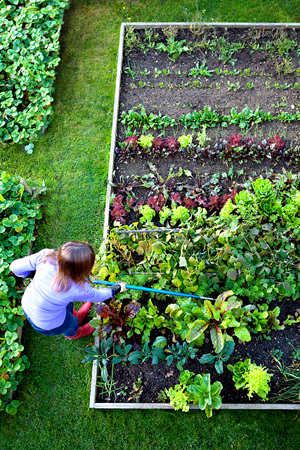 With a strong foundation in soil health and its impact on plant health, we then explore tried-and-true and cutting-edge techniques for all different kinds of garden plants including food plants, trees and shrubs and lawn. Don’t miss out on your chance to grab Hortus Forum’s beautiful selection of bulbs for the holiday weekend! Pre-orders will be taken only! Please contact, Christian Lesage, at cdl64@cornell.edu or Sarah Hetrick, at seh255@cornell.edu to confirm your order. 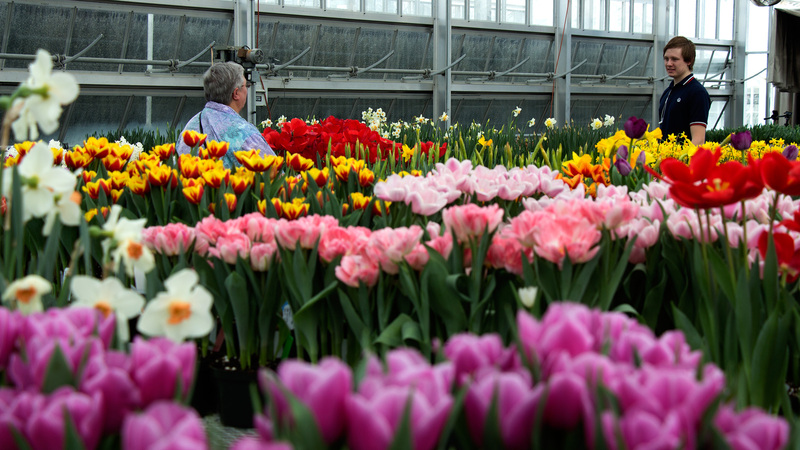 Flowers may be picked up at the Kenneth Post Laboratory Greenhouse from noon to 5pm on Friday, March 25th. 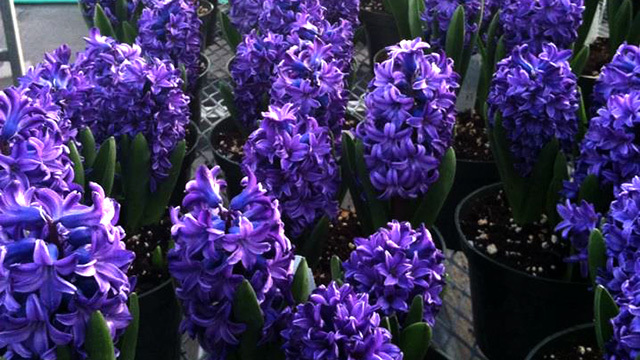 Can you smell the hyacinths? Pi Alpha Xi (PAX), the national honor society for horticulture, inducted new members on March 13, 2016. (See photo caption below.) 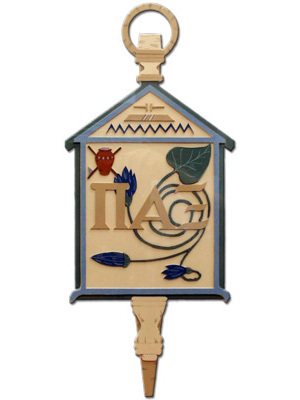 Only the best students in the plant sciences are invited to join this national honor society. In 2015 PAX organized a spring bus trip to Canada to visit the Niagara Parks School of Horticulture in Ontario and Highland Park in Rochester, N.Y. And in 2014, the group helped with the Rooted art installation, planted spring-flowering bulbs around CALS and rejuvenated the planters in the foyer of Plant Science Building. This semester, plans are underway to visit the New York Botanical Garden and other gardens in the New York City area. 2016 PAX inductees: Aaron Waybright (junior, Plant Sciences), Benjamin Jablonski (junior, Plant Sciences), Isabel Branstrom, (PhD candidate, Graduate Field of Horticulture) Patricia Chan (sophomore, Plant Sciences), Felix Fernández-Penny (sophomore, Plant Sciences), Breanna Wong (junior, Plant Sciences), and Dr. Mark Bridgen, Professor and PAX advisor. 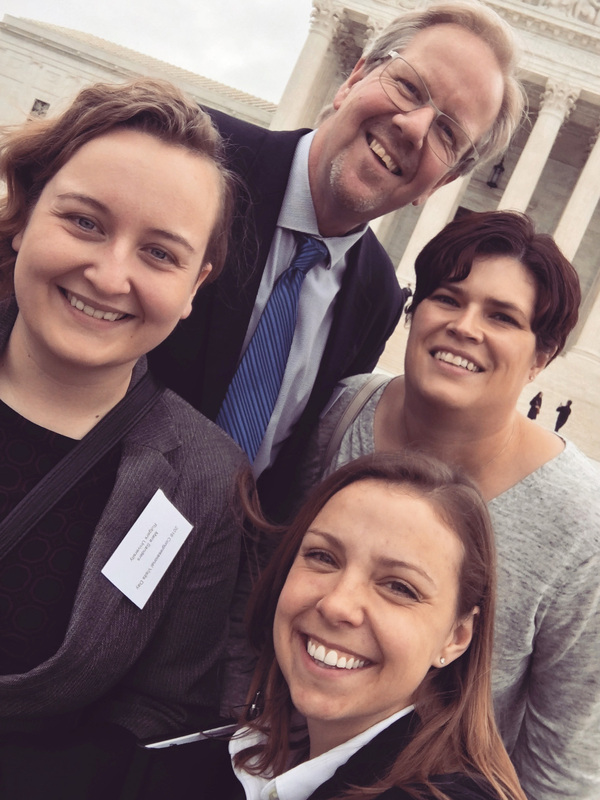 Hannah Swegarden (bottom) made the rounds with a regional group including Mara Sanders (PhD student, Rutgers, left), Harold van Es (Soil and Crop Sciences Section, Cornell University, President of SSSA), and Sally Flis (Dairy One). The 2016 Congressional Visits Day, hosted by the Agronomy, Crop, and Soil Science Societies of America was held this week in Washington, D.C. More than 60 participants, including 22 graduate students, four undergraduate scholars, and 14 Certified Crop Advisors, rallied together in a grassroots effort to support USDA-AFRI funding. Advocates asked for full support of the authorized USDA-AFRI program funding at $700 million. Over 100 meetings were held with members of the House and Senate to highlight the work of agricultural research across the nation. 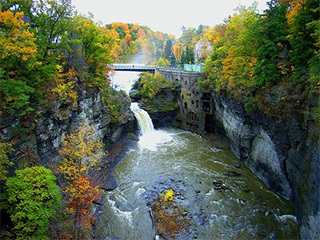 “… How can Cornellians stay constantly flummoxed with all this natural beauty surrounding them? “Nature Rx is a new mental health campaign that works to address this issue. 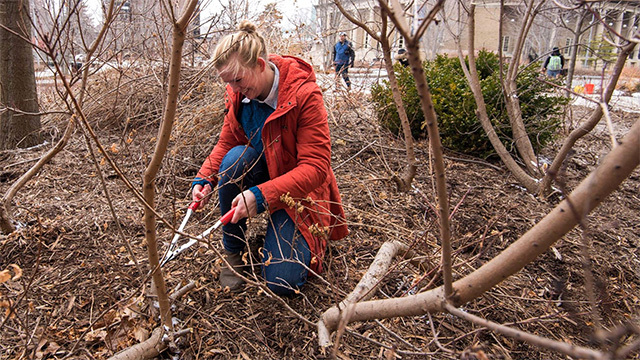 Don Rakow, professor of Horticulture, wants to bring this concept to Cornell, and create a program for students to immerse themselves in their natural surroundings as a way to maintain a healthy mental and physical well-being. He, along with co-chairs of the Student Assembly’s Health and Wellness Committee, Carolina Bieri (Atmospheric Science, ‘16) and Matthew Indimine (Policy Analysis and Management, ‘18) have been working to make Nature Rx happen at Cornell. 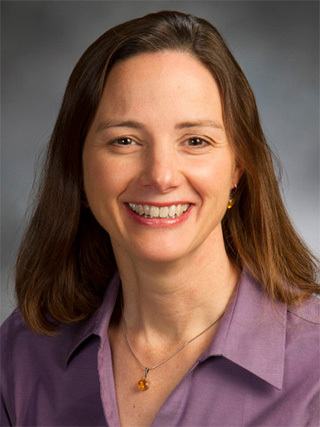 Elizabeth “Betsy” Bihn, PhD, has been appointed Executive Director of the Institute for Food Safety at Cornell University. Established in December 2015 with a $2 million state grant, the Institute for Food Safety at Cornell University is a center unique in its comprehensive approach connecting training and applied research to support the implementation of practices that reduce foodborne illness. The institute will harness Cornell’s existing strengths across food production systems in fruits, vegetables, and dairy foods to help growers and processors meet food safety challenges such as complying with new demands in the U.S. Food and Drug Administration’s Food Safety Modernization Act. 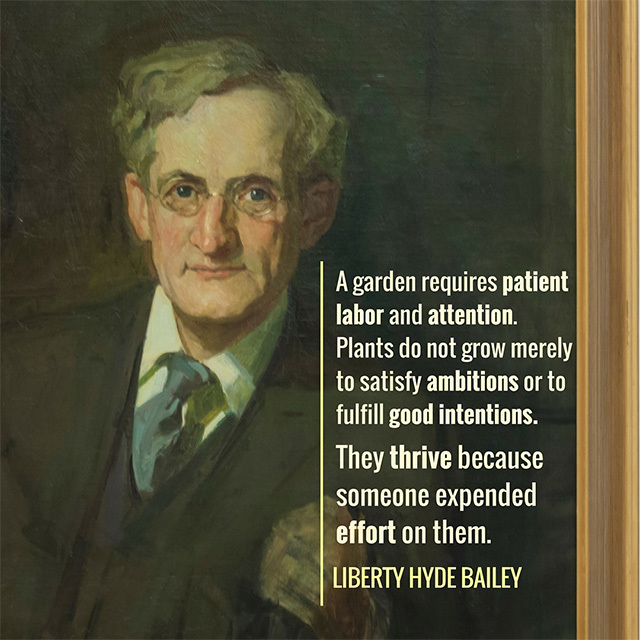 Happy 158th birthday (March 15) to Liberty Hyde Bailey, the noted horticulturalist, botanist, and first CALS dean! Learn more about Bailey. Visit the Liberty Hyde Bailey Conservatory website. 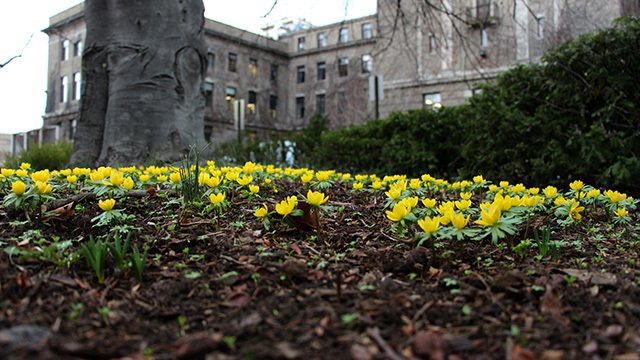 Winter aconites (Eranthis hyemalis) carpets Minns Garden outside the Plant Science Building. Research support specialist Rose Harmon and Dutch intern Jurjen de Jong collect data for the Flower Bulb Research Program at the Ken Post Lab Greenhouses. Isabel Branstrom, MS candidate in the Graduate Field of Horticulture and teaching assistant for Hands-On Horticulture for Gardeners (PLHRT 1102), prunes shrubs along with the class in a landscape outside of Roberts Hall designed and planted by students in Creating the Urban Eden … (PLHRT 4920/4920) in 2011. More class pruning pictures on CALS Facebook.